In most areas, he said, drivers pay the same premium whether they drive 90 miles round-trip to work each day, or if they take public transit and drive their car only on the weekends. Geico offered a small price reduction, the analysis found, while Allstate’s and State Farm’s quotes for the lowest-mileage drivers averaged savings of 11 percent and 13 percent, respectively, compared with the highest-mileage drivers. Drivers in Los Angeles saw consistent savings for fewer miles driven, the analysis found. Premiums dropped nearly 9 percent on average for every reduction of 5,000 miles driven per year, and very low-mileage drivers were quoted rates of about 30 percent less than very high-mileage drivers. California law requires auto insurers to give mileage driven the second-greatest weight when setting premiums, after the consumer’s driving record, researchers said. Quotes for drivers in other cities saw average savings of less than 2 percent for every 5,000-mile reduction in annual mileage, or less than $3 in savings per month. Some insurers, the report noted, have said they don’t emphasize mileage in setting rates because customers often wrongly estimate how much they drive. The researchers suggested, however, that there are ways to verify the accuracy of mileage estimates, like recording odometer readings at the time of policy purchase or renewal, or after accident claims. Should I tell my insurance company if I’m driving less? Yes. “It’s always worth talking to your agent and saying, ‘Do you know how much I drive?’” said Doug Heller, a federation researcher who conducted the study with another researcher, Michelle Styczynski. Retirees, in particular, should check in with their agents. They may be charged the same rate as they had previously been, even though they are no longer commuting to work. A start-up, Metromile, offers pay-by-the-mile insurance, but is currently available in just a half-dozen cities. 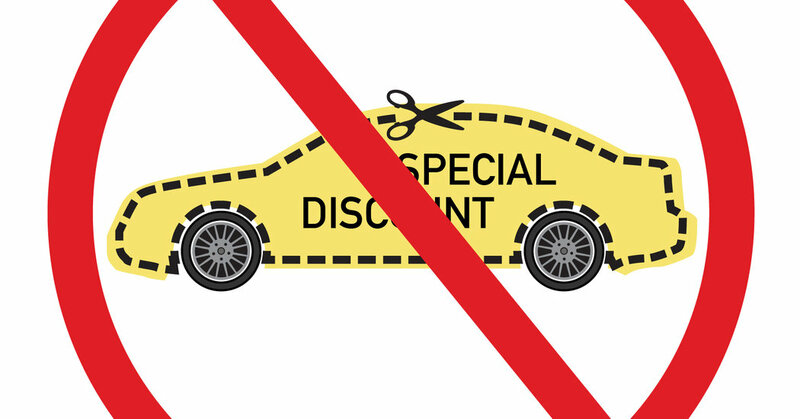 What other discounts might be available? Discounts may be offered to student drivers for maintaining good grades, for drivers who take a “defensive driving” class or to customers who bundle various insurance policies (like auto, homeowners and life) with the same insurer. Ask your agent.